Jamie Morton is the NZ Herald's science reporter. If the prelude to Election 2017 was lacking anything, it wasn't environmental conflict. Green groups hailing a Supreme Court decision that brought a potentially fatal setback for Hawkes Bay's Ruataniwha Dam project were soon after outraged at the granting of a consent to the country's first seabed mining operation, off the coast of South Taranaki. Other mining proposals in pristine areas like Mt Aspiring National Park and the Karangahake Gorge have similarly attracted controversy and hit headlines. And debate over the degradation of our lakes and rivers has taken on a new narrative, with anger turning to companies bottling and exporting our water without paying a royalty. These episodes highlighted where each party stands on how to use and manage New Zealand's wealth of natural resources, which generate more than $800 million for the country in royalties and taxes alone, and 17 per cent of the economy's GDP. But, as an OECD report noted this year, our economy is becoming increasingly at odds with our environment. The agency found New Zealand's growth model, based largely on exploiting natural resources, was "starting to show its environmental limits", with increasing greenhouse gas emissions and water pollution. To Maori, the relationship with our environment is profound. They hold a holistic understanding of our natural world, te ao Maori, and preserve it for future generations through kaitiakitanga, a practice of guardianship uniquely based on matauranga Maori, or Maori knowledge. While the Treaty of Waitangi remains the cornerstone of the relationship between the Crown and Maori on natural resources, government environmental policy is increasing recognising matauranga Maori and the role of mana whenua. National's overall ethos is to try to strike a balance between the economy and the environment, listing "sustainable development" among its nine main values and natural resources as one of the six pillars of its Business Growth Agenda. "You cannot have a strong economy without high environmental standards," Environment Minister Nick Smith said this month, "but nor can a country achieve high environmental standards without the resources of a successful economy." Smith's party has introduced a new environmental reporting regime, putting out stock takes on our air, atmosphere, climate, land, freshwater and ocean every six months. At the same time, it plans to spend up to $400m to encourage irrigation and water storage development, double the value of primary exports to $64 billion by 2025, and, through its Primary Growth Partnership programme, co-invest $724m over time to further develop the sector, including fisheries and farming, which remains our largest export commodity. Although the extent of agricultural land hasn't changed substantially in the past 20 years, making up just over 40 per cent of New Zealand, the number of dairy cows has surged and the national herd now stands at about 6.5 million. Environment advocates say the "white gold rush" will drive even higher levels of dairying intensification, putting more stress on rivers and lakes and producing more agricultural greenhouse gases. National has committed to offsetting the impact of dairying through improvements under a new programme aiming to make 90 per cent of large rivers and lakes "swimmable" by 2040. But other parties are campaigning to put a halt to intensification.The Greens are promising to ban new dairy farms and Gareth Morgan's The Opportunity Party (Top) is advocating interim moratoriums until catchments have plans to improve water quality. Labour would adopt a new policy statement under which any further increases in farming intensity, including more livestock, irrigation or fertiliser per hectare, would no longer be a "permitted activity". National has undertaken to look at the issue of water pricing, and most other parties are campaigning on either charging royalties or introducing cap and trade allocation systems. To help offset the rising strain on our conservation estate from tourism, National, which recently budgeted $102m for a new Tourism Infrastructure Fund, would bring in a user-pays system that would charge international visitors for using facilities. But it wouldn't go as far slapping tourists with a conservation-funding tax at the border - something advanced by the Greens and Top, both of whom would impose a $20 levy. Labour hasn't committed to a tourist tax but it says any levy would have to be set at a rate that could be implemented effectively. The Greens would also double the number of DoC rangers (to 720), double baseline DoC funding over a five-year period and double funding for conservation programmes on private and Maori land by 2021. Labour would also "progressively restore" DoC funding and, like the Greens, ban any mining on Schedule 4 land, and place any bids to mine elsewhere under the discretion of the Conservation Minister. Further, it would order mining companies to pay a bond for the clean-up of any pollution disasters. New Zealand First would ensure a quarter of royalties from mining would go back into regional development funds. Most parties are meanwhile eyeing changes to the Resource Management Act (RMA), New Zealand's linchpin legislation for managing the environment. After more than 25 years and 20 amendments, the RMA has doubled in size, and parties on all sides of the spectrum argue it has lost coherence. If re-elected, National would pursue further reforms - after a deal it struck with the Maori Party enabled changes to allow homeowners to carry out minor renovations without a resource consent - force councils to prioritise housing developments, and involve iwi more in the planning process. Labour, which opposed National's first proposed amendments along with other parties, has previously advocated improving the RMA by standardising and simplifying rules across local authorities, and improving Environment Court processes. The Greens, worried the RMA could now no longer stop a fossil fuel plant being built or a coal mine opening on conservation land, want a Royal Commission of Enquiry into the Act to help strengthen it. The party would boost the Ministry for the Environment's environmental legal aid assistance fund so groups could better participate in RMA cases, and develop new policy and standards to ensure its principles were met. New Zealand First would remove the right to consult with iwi, and ensure the RMA is "stringently applied" to any fracking activity. The party would dump the RMA's "one size fits all" model, forcing nationally significant developments - including energy projects - to go straight to the Environment Court, but amend it so the consents process for infrastructure projects was faster. Act, which picked RMA reforms as one of its three priorities for confidence and supply with National, is campaigning to scrap the RMA, arguing "red tape" is preventing hundreds of thousands of new homes being built. For cities with populations higher than 100,000, Act would introduce supply-focused legislation, make zoning and regulation around city fringe areas less restrictive, and set price thresholds, above which land would be automatically be released for development. Top, meanwhile, would ensure development that didn't damage the environment could proceed "in a timely fashion" and that use of biodiversity offsets would be quality assured, while putting revenue from fines for breaches toward repairing the damage. Away from land, National would work to establish our largest marine reserve, the 620,000sq km Kermadec Ocean Sanctuary, but keep much of our vast marine estate open for industries. Through successive petroleum Block Offers, National has unlocked vast areas of ocean for oil and gas exploration to companies - which invested nearly $8b between 2011 and 2015 - and introduced the EEZ Act to regulate the offshore environment. Top would use marine spatial planning to ensure all ocean users have fair access to EEZ resources, setting aside at least 10 per cent of ecosystems as no-take reserves, while the Greens would put an outright moratorium on seabed mining and ban hydraulic fracturing anywhere, until "proven safe". The Greens are further campaigning on a government-owned "Green Infrastructure Fund", which would kick-start new clean energy projects, initially to be paid for by raising oil royalty rates from 46 per cent to the international average rate of 70 per cent, and help work toward its 2050 goal of a carbon-neutral economy. Banning new coal power plants and requiring companies to offer smarter pricing structures that encourage conservation and efficiency, the party also wants to lift the proportion of our electricity sourced through renewable energy from 80 per cent to 100 per cent by 2030. Top has the same 100 per cent goal, but with a 2035 deadline, and National aims to achieve a 90 per cent share by 2030. For Linda Gilmore, the Karangahake Gorge is a place to escape and relax. The bushy corridor at the foot of the Coromandel Peninsula connects Waihi and Paeroa, and for the past three decades has offered the local business owner a place to take her children and grandchildren walking, camping and now cycling. 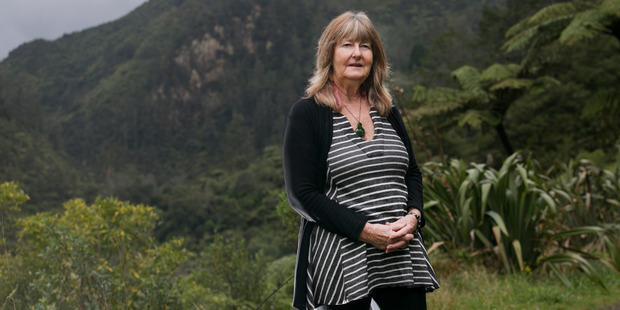 But she fears that peace could be lost after New Talisman Gold Mines discovered gold in an underground mine on conservation land, prompting protests and a new push to blanket the entire Coromandel ecological area with Schedule 4 protections. Earlier this month, she was arrested for trying to block vehicles from accessing the site, but was let off with a warning. "If you walk to the top of the mountain the views are phenomenal and we should not have to share conservation land with a mining operation," she said. "A lot of money has been spent on the cycle trail and other tracks in the Karangahake Gorge to successfully encourage tourism. To start mining here now is ridiculous." To Gilmore, land for conservation was exactly that. "Gold mining here in the Coromandel, the road through the Kahurangi National Park, coal mining in the Denniston Plateau, the water pipeline in Aspiring National Park. It's all madness." "The worst part of it is in a lot of these places, locals like us, here in the Coromandel, spend countless hours battling pests and invasive weeds on conservation land, and then when it comes to these big decisions, the Government just ignores us." She wanted to see all conservation land - and not just that on Mt Karangahake - subject to Schedule 4 classification. "Our economy relies on tourism and mining in conservation land directly contradicts how we sell ourselves to the world." NATIONAL: Reform the Resource Management Act to make it easier for councils and developers to get houses consented and built; continue an agenda of "sustainable development" of the environment; investigate charging for commercial use of water; review the Emissions Trading Scheme; fund a user-pays system where international tourists pay more to use facilities; work to eradicate pest predators by 2050 and fund large-scale pest operations; aim for 90 per cent of electricity from renewable energy by 2025. LABOUR: Standardise and simplify RMA rules across local authorities; improve Environment Court processes; charge for the commercial use of water; extend the Emissions Trading Scheme to cover all sectors; ensure any tourist levy for conservation is set at a rate to be effective; ban mining on Schedule 4 land and add further land into the schedule. GREENS: Hold a Royal Commission of Inquiry into the RMA, develop policy to strengthen it and fund legal aid to take part in RMA cases; ban new dairy farms, scrap irrigation subsidies and charge for the commercial use of water; replace the Emissions Trading Scheme with a carbon tax; charge a tourist levy; ban mining on Schedule 4 land and seabed mining; start a Green Infrastructure Fund; aim for electricity to be 100 per cent generated from renewable energy by 2030. NZ FIRST: Dump the RMA's "one size fits all" policy and requirements to consult iwi; direct nationally significant applications to the Environment Court; ensure water takes for agricultural irrigation and electricity generation are sustainable; charge for the export of bottled water; send a quarter of royalties from mining back into regional development funds; oppose the Emissions Trading Scheme; support "net metering" of electricity. MAORI PARTY: Hold an inquiry into water rights and ownership; put an interim ban on bottled water exports by foreign parties until these have been resolved; plant 100,000ha of forest over 10 years; subsidise solar panels for poor and remote communities; yet to announce full environment policy. ACT: Overhaul the RMA, and in large cities replace it with supply-focused legislation; make regulation in city fringe areas less restrictive; release more land for development; sell government-owned farms and use the profit for conservation; put a cap-and-trade system on commercial use of freshwater; oppose co-governance of natural resources by Maori.